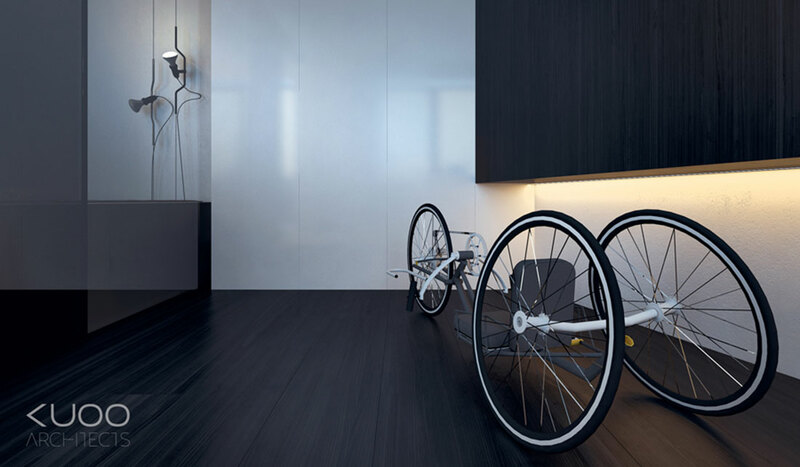 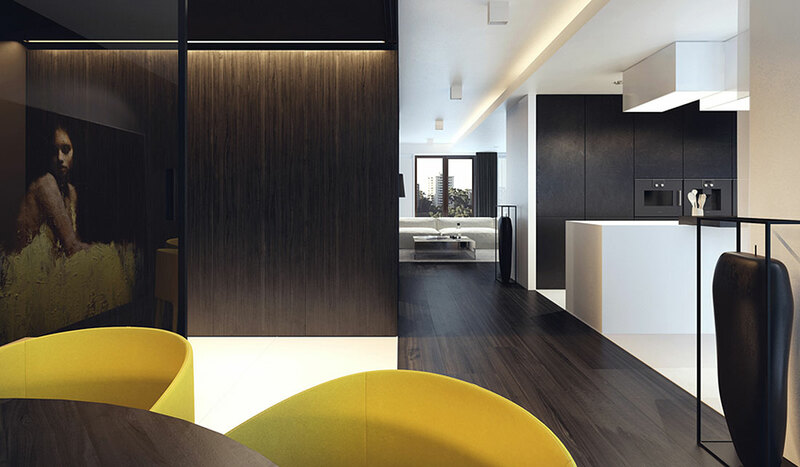 APARTMENT DESIGN BY KATARYZYNA KUO STOLARSKA AND KUOOS ARCHITECTS | muted. 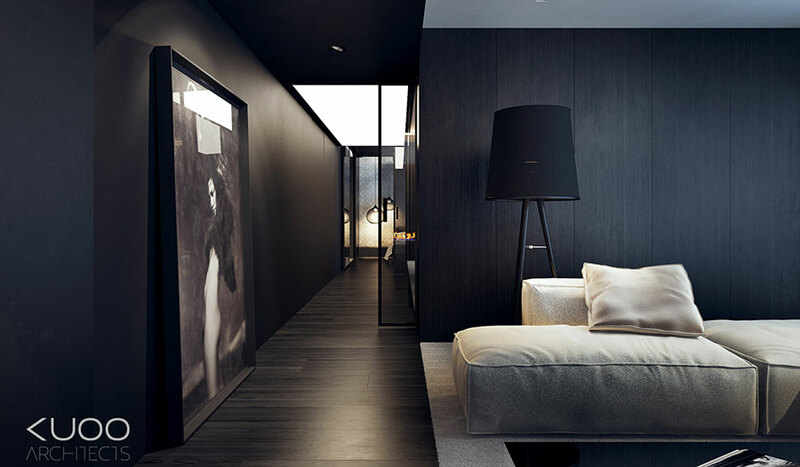 An Apartment Design By Kataryzyna Kuo Stolarska And Kuoos Architects may be the most beautiful apartment I’ve ever seen. 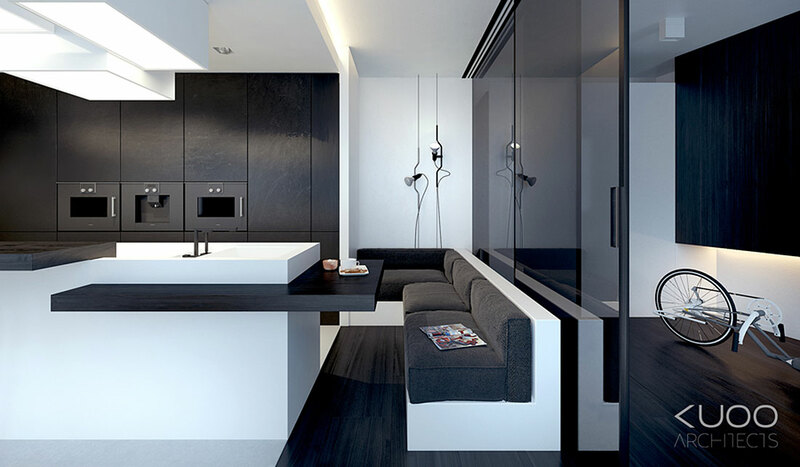 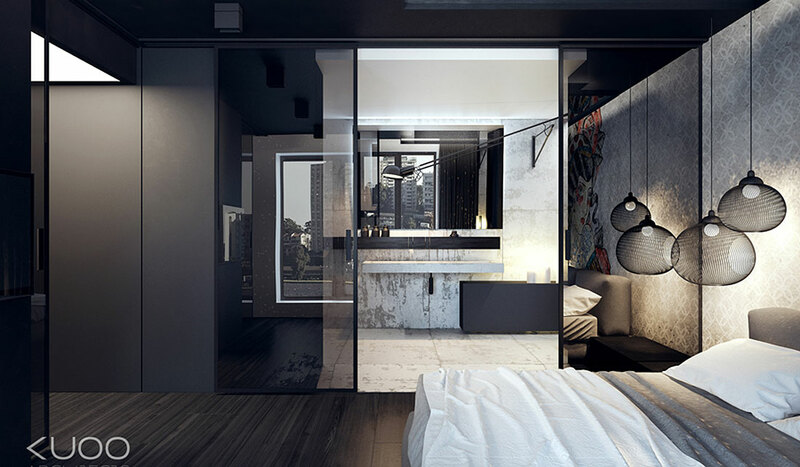 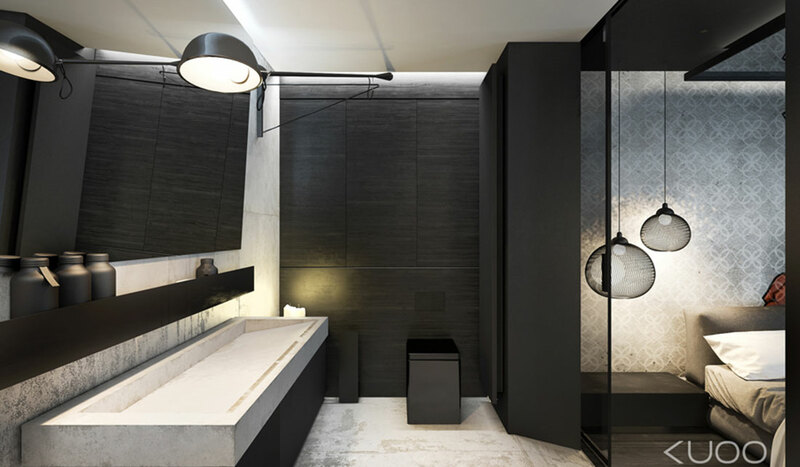 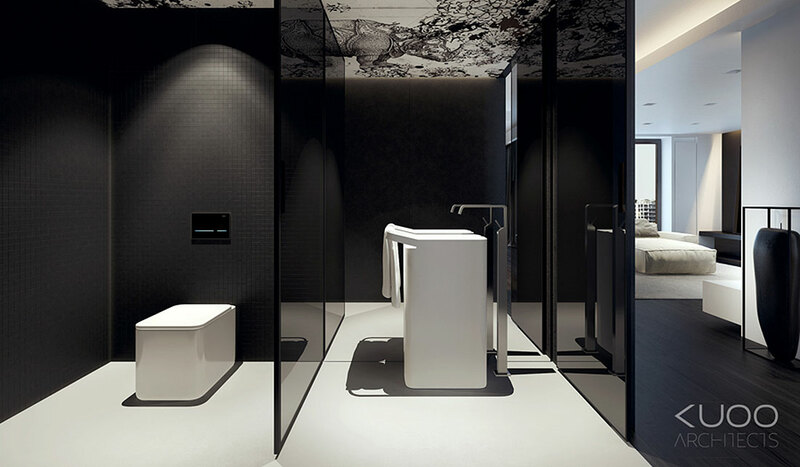 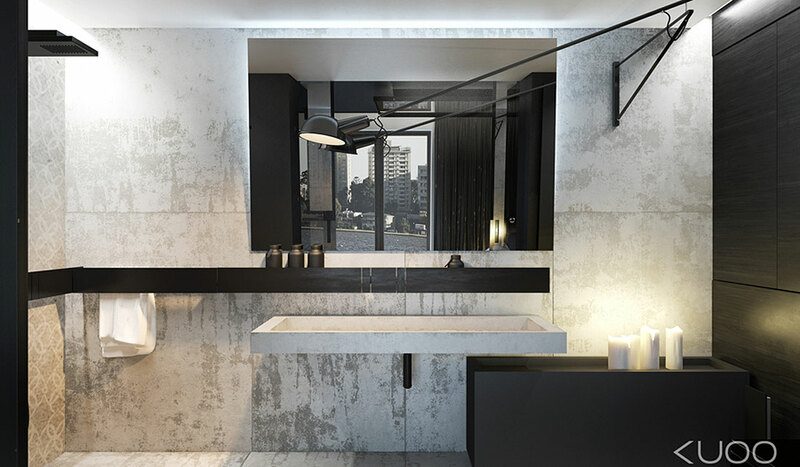 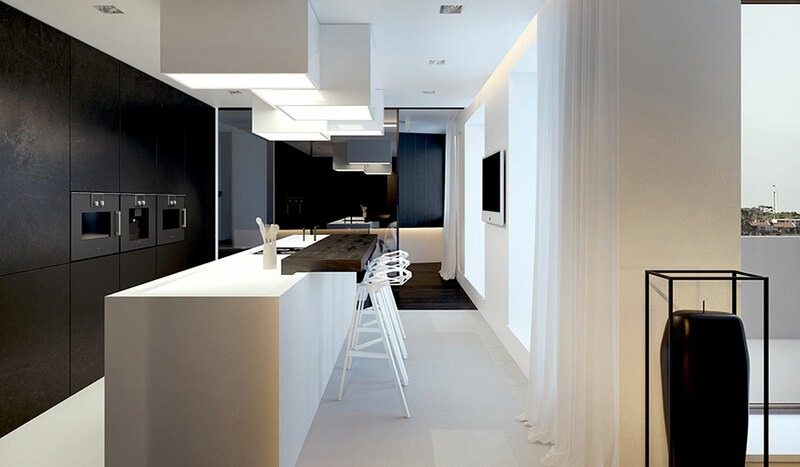 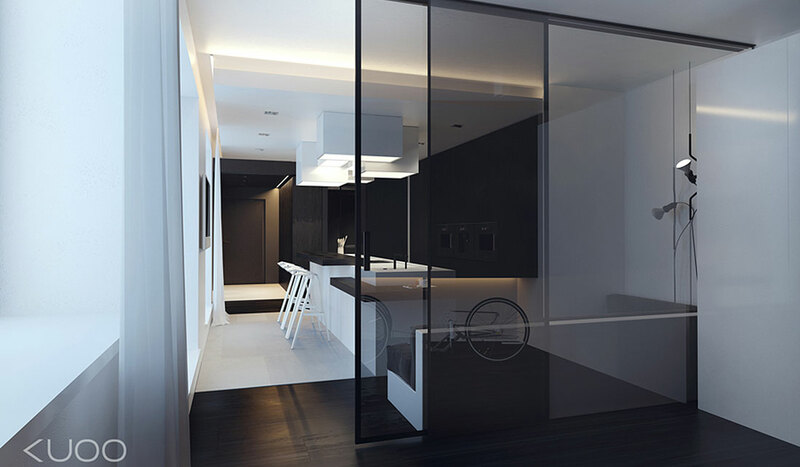 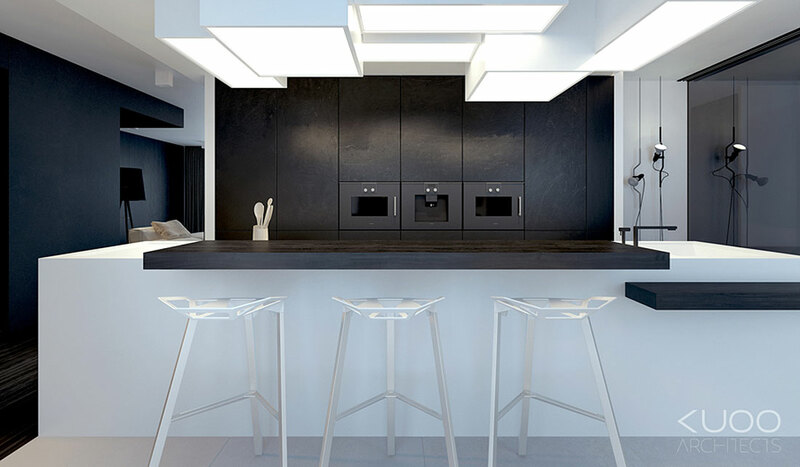 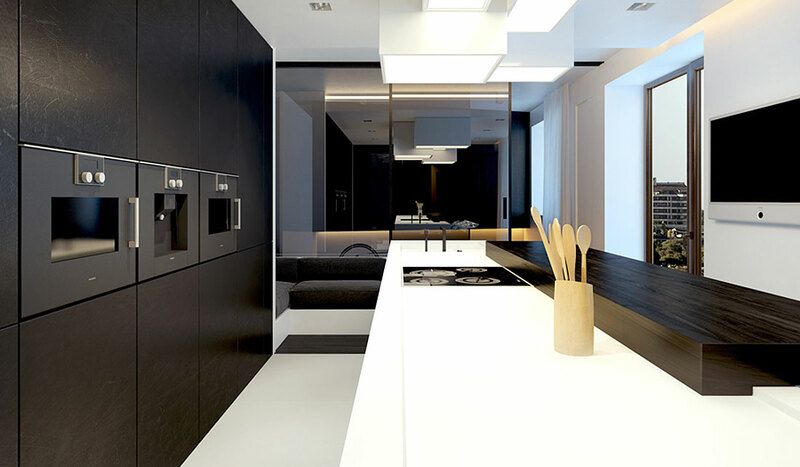 The mixture of black and white is almost perfect and makes this a home you feel comfortable in despite its modern minimalist lines. 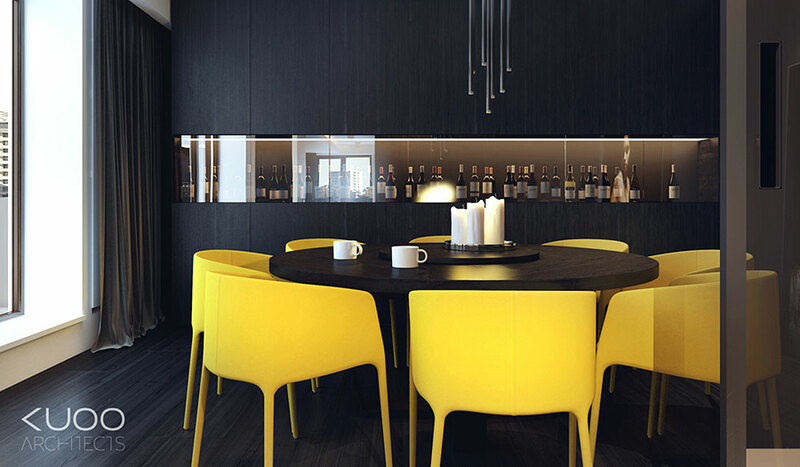 The splash of yellow in the chairs in the kitchen would have never come to mind, but it works flawlessly. 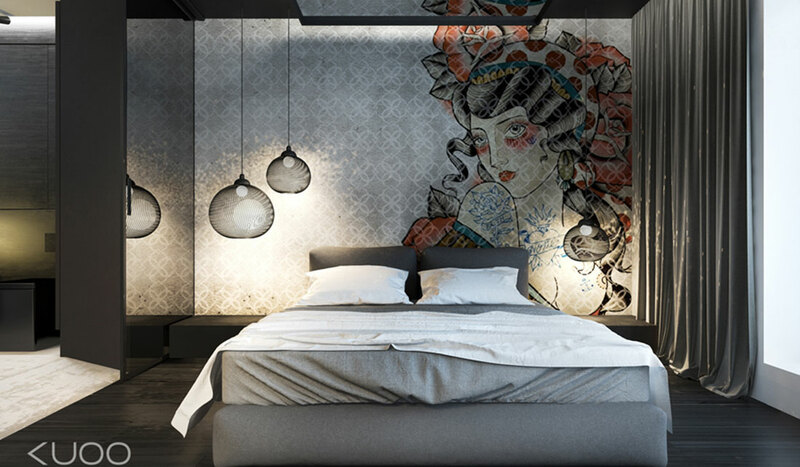 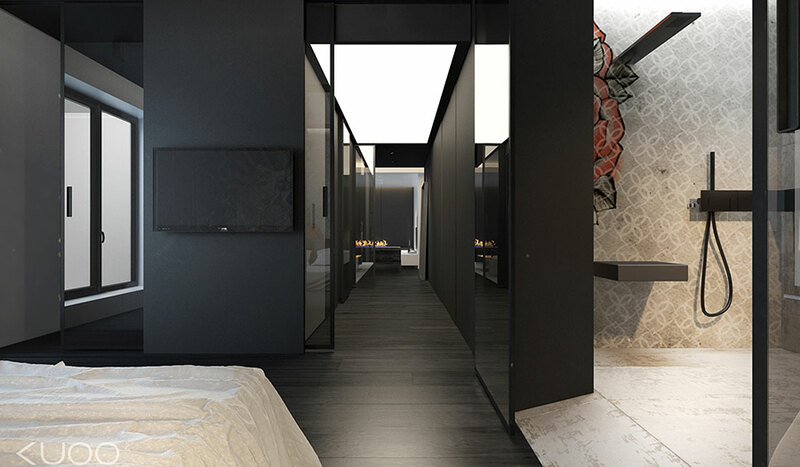 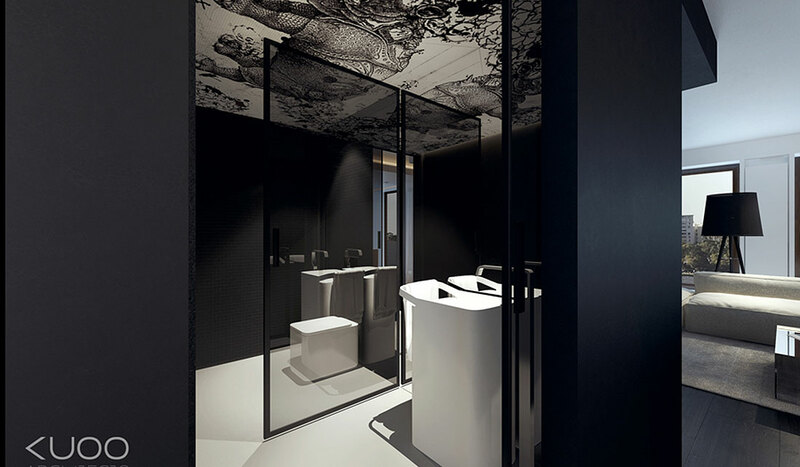 KUOOs Architects out of Poland are quickly making a name for themselves for their bold designs, as well as the interior designing Kataryzyna Kuo Stolarska. 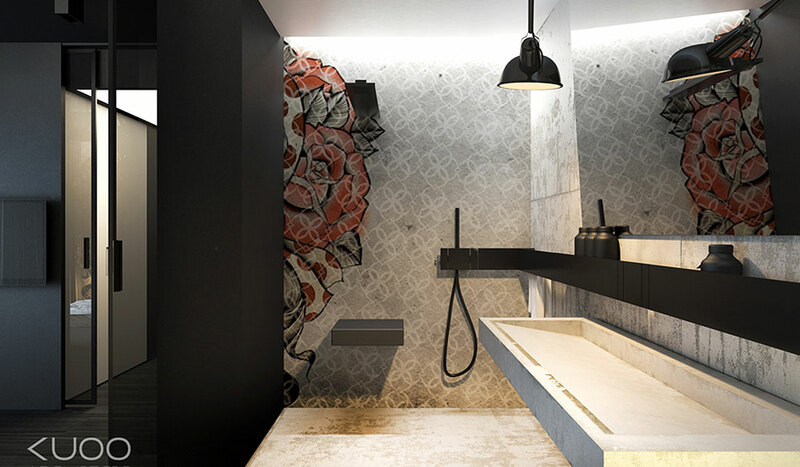 Her designs are simply amazing. 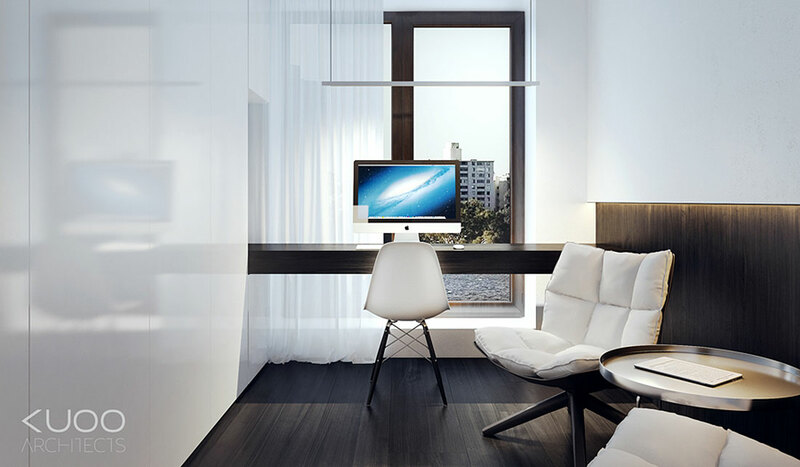 I wonder if she’ll consider making a trip out to Philly, I’ve got an office that needs a redo.